Engineering today's highly complex real-time systems in uncertain environments requires new approaches. NECSI complex systems engineering research differs from traditional systems engineering by focusing on the roles of interdependence and evolution to create a process whereby local actions can build on each other to create a functioning system. NECSI has demonstrated the breakdown of conventional top-down engineering and that reliable complex systems can only be made by evolutionary dynamics and distributed collaborative design. Complex Engineered Systems, D. Braha, A. Minai, Y. Bar-Yam (Eds.) (2006). Engineering Complex Systems: Multiscale Analysis and Evolutionary Engineering, Y. Bar-Yam, in Complex Engineered Systems: Where Science Meets Technology, D. Braha, A. Minai, Y. Bar-Yam (Eds.) (2006). The Structure and Dynamics of Complex Product Design, D. Braha and Y. Bar-Yam, in Complex Engineered Systems: Where Science Meets Technology, D. Braha, A. Minai, Y. Bar-Yam (Eds.) (2006). The Dynamics of Collaborative Design: Insights from Complex Systems and Negotiation Research, M. Klein, H. Sayama, P. Faratin, Y. Bar-Yam, in Complex Engineered Systems: Where Science Meets Technology, D. Braha, A. Minai, Y. Bar-Yam (Eds.) (2006). About Engineering Complex Systems: Multiscale Analysis and Evolutionary Engineering, Y. Bar-Yam, in Engineering Self Organising Systems: Methodologies and Applications, S. Brueckner, G. Di Marzo Serugendo, A. Karageorgos, R. Nagpal Eds. (2005). The dynamics of collaborative design: Insights from complex systems and negotiation research, M. Klein, H. Sayama, P. Faratin, Y. Bar-Yam (2003). A complex systems perspective on how agents can support collaborative design, M. Klein, H. Sayama, P. Faratin, Y. Bar-Yam, in Agent Supported Cooperative Work, Y. Ye and E.F. Churchill, Eds. (2003). When Systems Engineering Fails --- Toward Complex Systems Engineering in International Conference on Systems, Y. Bar-Yam (2003). A complex systems perspective on computer-supported collaborative design technology, M. Klein, H. Sayama, P. Faratin, Y. Bar-Yam (2002). What complex systems research can teach us about collaborative design, M. Klein, H. Sayama, P. Faratin, Y. Bar-Yam (2001). NECSI has advised governmental bodies including the Chief of Naval Operations Strategic Studies Group and the U.S. Army Corps of Engineers. 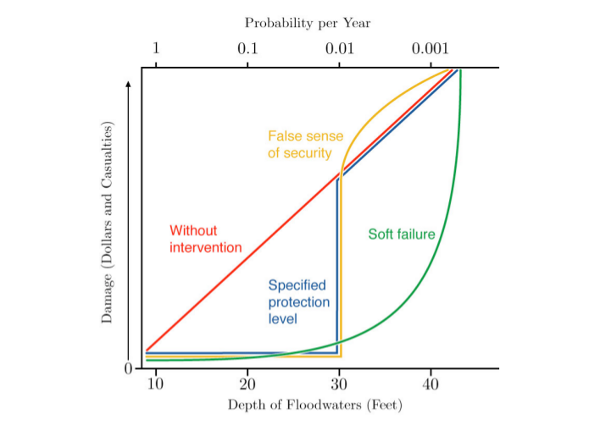 Complex systems engineering principles — active response and soft failure: A visit to the US Army Corps of Engineers in New Orleans, Y. Bar-Yam, P. Seguin (2010). The future of New Orleans, Yavni Bar-Yam, (2010). Making Things Work: Solving Complex Problems in a Complex World, Y. Bar-Yam, See Chapter 15 (2005). Complex Systems and Evolutionary Engineering, M. L. Kuras and Y. Bar-Yam (September 2003). Large Scale Engineering and Evolutionary Change: Useful Concepts for Implementation of FORCEnet, Y. Bar-Yam (2002). The dynamics of problem-solving and product development networks have been modeled by NECSI. Complex Engineered Systems: A New Paradigm, A. Minai, D. Braha, Y. Bar-Yam, in Complex Engineered Systems: Where Science Meets Technology, D. Braha, A. Minai, Y. Bar-Yam (Eds.) (2006). Information Flow Structure in Large-Scale Product Development Organizational Network, D. Braha, Y. Bar-Yam (2004). NECSI research analyzes the ability of robot swarms to autonomously assemble structures. Distributed construction by mobile robots with enhanced building blocks. J. Werfel, Y. Bar-Yam, D. Rus, R. Nagpal (2006). Building patterned structures with robot swarms, J. Werfel, Y. Bar-Yam, R. Nagpal (2005). Construction by robot swarms using extended stigmergy, J. Werfel, Y. Bar-Yam, R. Nagpal (2005). Researchers at NECSI also apply the principles of evolutionary engineering to cyber security and distributed computing. Principles of Security: Human, Cyber and Biological Report to the Chief of Naval Operations Strategic Studies Group, B. Stacey and Y. Bar-Yam (June 1, 2008 / public February 28, 2013). Vulnerability Analysis of High Dimensional Complex Systems, V. Misra, D. Harmon, and Y. Bar-Yam (2010). Bioinspired environmental coordination in spatial computing systems, J. Werfel, Y. Bar-Yam, D. Ingber (2008). Handling emergent resource use oscillations, M. Klein, R. Metzler, Y. Bar-Yam, (2005).